THE SKINNY: The first few times I tried Smashbox's Photo Finish Lid Primer, I found it to be adequate. My eye shadow didn't stay in place any longer than my tried and true Urban Decay primer. And the Urban Decay product is quite a bit cheaper -- $19 for 0.37 ounces versus the Smashbox price of $20 for 0.08 ounces. But after a few more days of sampling, I saw the real difference. 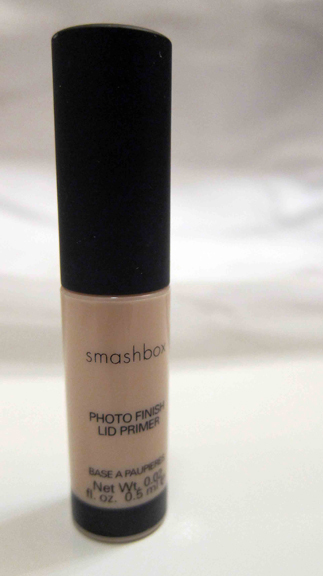 Smashbox's primer works like a concealer. The warm beige color glides on smoothly and covers any and all dark spots on and around the eyelid. It's absolutely wonderful on those mornings when I haven't had enough sleep. That's not to say Smashbox will replace Urban Decay in my makeup bag. I think the Urban Decay primer holds eye shadow in place a little longer. But Smashbox does give me a different option for those days when I'm feeling (and looking) a little tired. What's important to you in an eye shadow primer? KEEP OR TOSS: Keep. If I'm only using it a few days a week, it will last forever. CHECK IT OUT: Read more about Photo Finish Lid Primer at the Smashbox website. And, if you haven't already, use your email to sign up for the Pretty Points Rewards. Members get a birthday gift, points with each purchase that can earn you a $10 certificates -- plus Smashbox gives away Bonus Delux Samples from 9 a.m. to 2 p.m. PT Tuesdays and Thursdays. The samples are usually full-sized products!